Special Legislative Concerns: energy and environment. He announced his candidacy for Secretary of State for the 2014 election, but later withdrew. 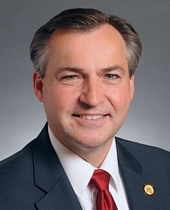 He announced his candidacy for the United States House of Representatives for Minnesota's 2nd Congressional District in 2015. He was endorsed by the GOP for secretary of state in the 2018 election but lost in the general election.